Bombarded by new releases, some things pass you by. 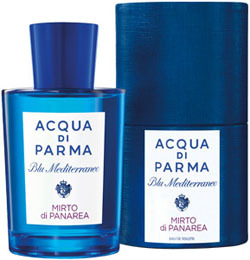 This was the case with the re-release of the Blu Mediterraneo line by the superior Acqua di Parma who’s original cologne graces many a sophisticated man’s bathroom cabinet. When you think Acqua di Parma you immediately think fresh, zesty, superior Italianite fragrance that encapsulates the essence of the Latin lifestyle. Acqua di Parma have exuded this feel since 1916 and have outdone themselves lately with the re-release of the gorgeously indulgent and evocative Blu Meditterraneo range. 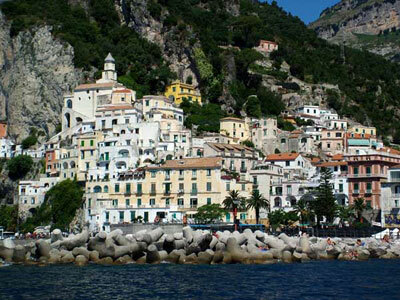 The beauty of the Italian coastline, its deep blue seas, the eye-scrunching, blinding light, the smell of sand and rocks and lemon trees, the multi-coloured houses that line the Amalfi coast and the diversity within the culture and landscape has inspired the brand to dedicate this themed range of fragrances to further capture the hearts of Acqua di Parma lovers and intrigue non users. Firstly there’s the look and feel. Typically Acqua di Parma in its art deco elegance, font and style but the vivid blue glass speaks of Roman holidays and hot summer breezes rustling with potential. 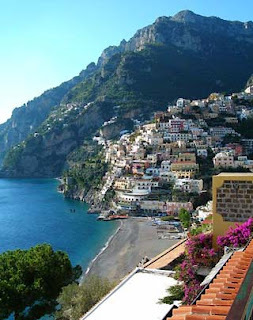 There are five landscapes and fragrances – Fico di Amalfi, Mirto di Panarea, Bergamotto di Calabria, Mandorllo di Sicilia and Arancia di Capri. The names roll off the tongue and tantalise like the languid seas that caress the landscapes. As a bona fide Italophile, these fragrances were made to experience the beauty of Italy and if you can’t wear them in the place, spritzing them brings back memories of twisting roads, open top cars, baking heat and the sound of cicadas in the mid afternoon slumber. Each fragrance is based on the one symbolic ingredient of the area it represents and manages skilfully to convey the elegance of each location. I’ve concentrated on two here as five just may well push me over the edge and make me head for the airport clutching a bunch of dying Euros and pitching up in my beloved Bordighera, Taormina, Ischia or Portofino. And speaking of Portofino, Fico di Amalfi is a big beautiful cloud of fresh figiness dripped in bright yellow lemon and bergamot and drenched with grapefruit and citron. The cloud of potential immediately lifts the wearer – it’s impossible to wear without notions of hazy, long afternoons drinking Aperol spritzes, seeing yachts anchored lazily and listening to the sounds of the sea mixed with the buzzing of distant vespas in the distance. The dry down of purple fig and pink pepper adds a soft, squelchy punch to the jasmine while the calming cedar wood and benzoin softens the brightest of blows. Glorious and addictive (especially when faced with horrendous British weather in June). Mirto di Panarea is an altogether different beast – more sharp and zesty to reflect the oldest of the Aeolian islands that nestle in the Tyrrhenian sea just off Sicily. Just as one would expect, there’s tinges of Greece about this glistening bright, zestful fragrance as harsh as the blisteringly hot sun tinged with wind, sand and rocks. The feel of sea spray on your face and the tinge of salt on your lips, this beauty is a complex character. Aromatic notes of myrtle and basil lie together with the lemon and bergamot and when the brininess of the sea breeze hits, it’s meltdown. There’s touches of jasmine and rose with some sharp gin like juniper but with a soft doze of amber and cedarwood thrown in. 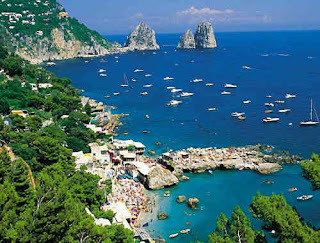 This is a definite ‘buy for boyfriend’ and as luscious as good prosseco on ice, poolside in an empty sea front villa.